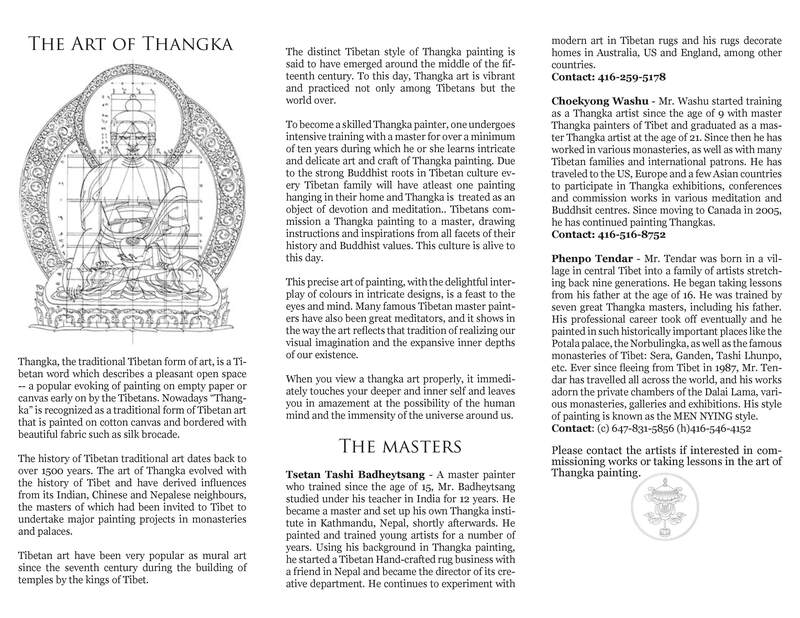 Posted by KDA in Public event, Tibetan Arts and Culture, Uncategorized. We had a wonderful participation at the Art on Street Festival in Baldwin Village on Sunday, August 23rd (http://www.pskensington.ca/psbaldwin). Baldwin Village is a hidden treasure nestled in the heart of downtown – a history-rich urban village that represents the culturally diverse heartbeat of Toronto. Composed of a collection of 38 independent restaurants and retailers, this community is amplified by an abundance of international cuisine. Imagine a mix of Chinatown, Little India, Korea town and Little Italy all-in-one, and then throw in Thai, French, Vegetarian, Japanese, Mediterranean, Malaysian, Vietnamese and other cuisines! 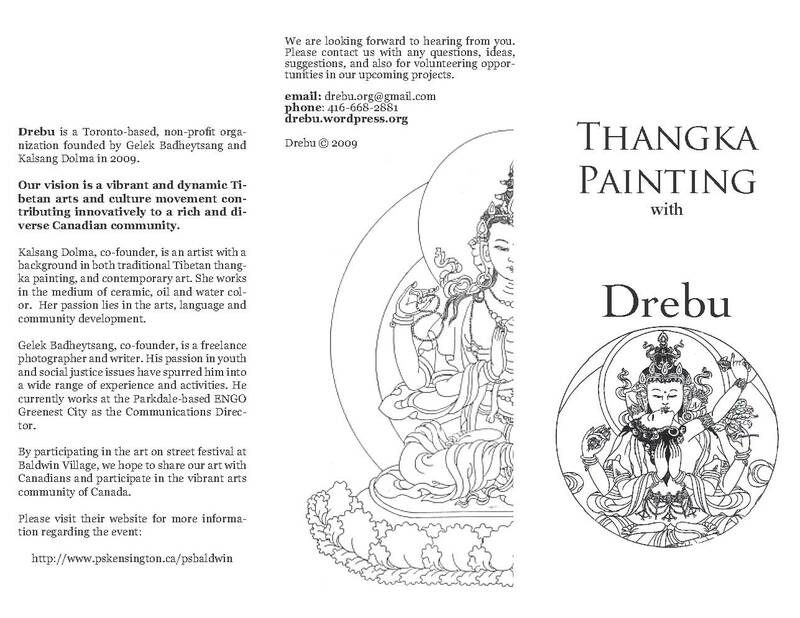 The Tibetan Thangka masters drew some simple Tibetan motifs and design on small canvases for the participants to paint on. About 5o people painted with us: most of our enthusiasts were the young upcoming artists (see Pictures)! Overall we had a very successful event where the Master Tibetan Artists were able to present their work in a simple manner by sharing it with the public.